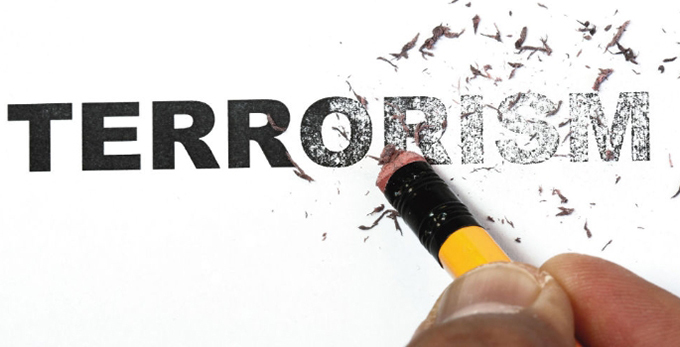 The Counter-Terrorism and Security Act 2015 has aroused great controversy by imposing a legal duty upon schools, universities, the NHS and other institutions to “have due regard to the need to prevent people from being drawn into terrorism”. Last month, a new report from the Joint Committee on Human Rights called for an independent review of the controversial Prevent duty to assess what impact it is having on students and free speech, despite endorsing the programme’s aims. However, the campaign against the act and the Prevent duty in higher education rests largely upon myths. Here are six that are particularly prevalent. In fact, the Prevent duty applies to all forms of terrorism and not just the jihadi variety which, in any case, is capable of being perpetrated by people of any race. It is true that the vulnerability of most of those identified by Prevent is to Islamist terrorism. But, rather than indicating Islamophobia, this is simply an inescapable consequence of the fact that the most significant threat to the UK currently stems from this type. It would be unlawful for the act to be used in a racist, Islamophobic or discriminatory manner and, if it were, this would be open to challenge in the courts. While some Muslims oppose Prevent, there is no evidence that the majority do. Indeed 50,000 individuals and nearly 400 mosques willingly and voluntarily cooperate with it. The act does not criminalise anyone. On the contrary, it seeks to stop people from being drawn into terrorist crime. It also operates entirely outside the criminal justice sphere and – because it applies to all forms of terrorism – it does not victimise any minority. There is no reliable evidence that universities are even interested in gathering security-related intelligence about students, let alone engaging in it. On the contrary, the norm throughout the sector is for the Prevent duty to be managed by student welfare services and for the risk of being drawn into terrorism to be treated as a vulnerability akin to others such as suicide. The act legally requires universities to create and manage appropriate systems to safeguard students from being drawn into terrorism. But they cannot themselves refer anyone to a deradicalisation programme. Local authority Prevent panels, to which students and others may be referred, can consider deradicalisation among a range of options. But this is rarely used. For example, only 381 out of a total of 7,631 Prevent referrals from all sources (5 per cent) received support for deradicalisation in 2015-16. Nobody can lawfully be referred to a Prevent panel merely for the expression of radical or unorthodox views. There must also be evidence of a risk of harm. Furthermore, those offered deradicalisation assistance must agree to receive it and it is not an offence to withhold consent. Nor, providing that appropriate welfare systems are in place, are there any legal consequences for universities that fail to refer a student who subsequently commits a terrorist offence. There is no reliable evidence that this is happening. For example, in the more than two years that the act has been in force, not a single event is known to have been banned in an English university in the exercise of the Prevent duty. Nor is this likely because, in higher education, the duty is balanced by several other statutory obligations. These include having “particular regard” for freedom of speech and the importance of academic freedom, and not discriminating unlawfully against, harassing or victimising students, including on grounds of race, ethnicity, nationality, religion or belief. There are very good grounds for believing that the CTSA complies with the European Convention on Human Rights, incorporated into UK law by the Human Rights Act. And, as already indicated, concerns that a human right may have been violated by exercise of the Prevent duty would, in any case, be open to legal challenge where proportionality would be the key test. In a judicial review application earlier this year, for example, the court uncompromisingly rejected a claim that being named with others in an official press release about tackling extremism in universities and colleges was unlawful and a breach of the claimant’s human rights. We conclude that, while the Prevent duty would certainly benefit from fine-tuning, especially as far as “non-violent extremism” is concerned, the CTSA is a democratically defensible and human rights-compliant response to palpable and urgent problems. Author Bio: Steven Greer is professor of human rights and Lindsey Bell is lecturer in law at the University of Bristol Law School.